It's an unkaboggable surprise birthday bash! Ogie Alcasid thanked Vice Ganda for the surprise party the latter held for him last night, August 29. 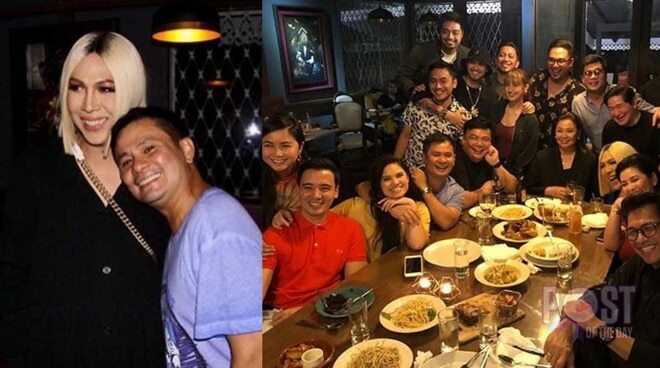 According to the singer's Instagram post, Vice Ganda was able make the party possible with the help of Ogie's daughter Leila and wife Regine Velasquez. “I am so blessed by the kindness of @praybeytbenjamin love you dearly! Grabe ang pa surprise mo! Love you at mga kasabwat mo @rey_lanada @leilalcasid and wifey @reginevalcasid [sic],” he wrote in his photo's caption. It’s Showtime hosts Vhong Navarro and Jhong Hilario, plus Tawag Ng Tanghalan hurados, Yeng Constantino, Erik Santos, Jed Madela, Nyoy Volante, Gary Valenciano and more were also spotted at the celebration. @praybeytbenjamin Salamat sa surprise party mo. I am so touched. Love you so much! Ty sa lahat ng nagpunta!